It should be an oxymoron. Tragically for 50,000 American Veterans tonight, it’s not. 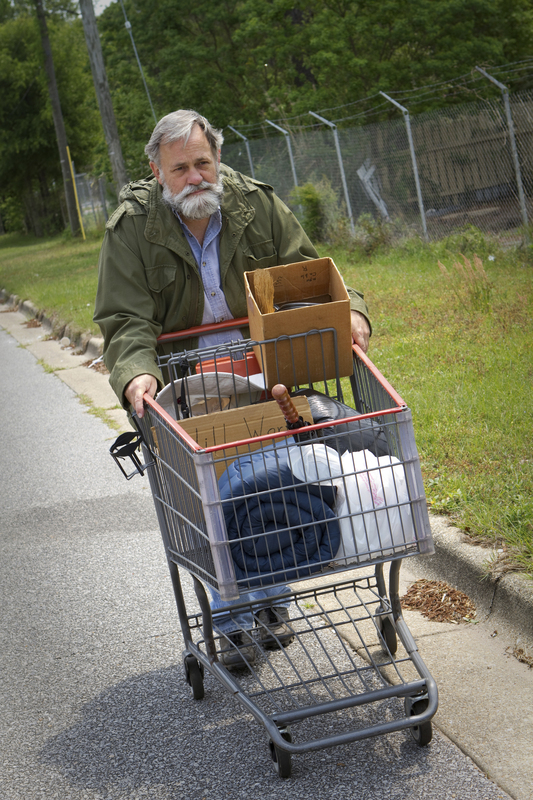 Homeless Veterans are still very much present across our United States. Alone or with children, they’re living in cars, under bridges, hidden within parks, abandoned buildings, desolate, deserted alley ways, locking themselves within storage units and other places not meant for a human being to survive, let alone live. Many homeless Veterans are among the 8,000 former servicemen and women who commit suicide each year. Each and every day, an average of 22 men and women who served America end their lives. As a nation, we’ve made enormous progress towards a future in which no Veteran is homeless in America; to honoring our collective sacred trust to those who have borne the battle and their loved ones. More that cannot be done by one person, agency or program alone. At the 2014 Homeless Veterans Stand Down in Miami, an annual event that provides hot food and showers, a safe place to sleep for the weekend, healthcare services, a Veterans Court, benefits and housing specialists, Carrfour Supportive Housing’s Operation Sacred Trust (“OST”) program provided immediate, permanent housing to Veterans who arrived at the event homeless and left two days later with keys to their new residences. The 2015 Stand Down in Miami takes place from May 1-3 at the Robert King Park, 7025 W. Flagler Street, Miami, FL 33126. This year, Operation Sacred Trust has even more ambitious plans — to offer permanent housing to 15 homeless Veteran families during the Stand Down weekend. With funding from the U.S. Department of Veterans Affairs’ Supportive Services for Veteran Families Program, OST is able to provide case management, resiliency training, and financial help that becomes a bridge from homelessness to housing stability. Since October 2011, OST has helped prevent and end homelessness for thousands of local Veterans and their family members. Stephanie Berman-Eisenberg, President/CEO of Carrfour Supportive Housing, says building additional supportive housing is vital to disrupting veteran homelessness. “Disrupting veteran homelessness has to include building and sustaining sufficient affordable housing that meets the needs of our most vulnerable veteran families. That begins with a roof over their heads, but has to also mean formerly homeless servicemen and women have a place to call home that they value, and where they can be part of a community,” Berman-Eisenberg says. But success giving a Veteran who has honorably served includes more than housing. Often, these Veterans move into housing while awaiting decisions on disability claims and other resources that are vital to their ability to making monthly rental payments. “Timely legal assistance navigating the process to obtain disability and other earned benefits is critically important to helping very low income veteran families sustain housing,” says Ryan Foley, a University of Miami Law School graduate who provides legal support to many homeless and at-risk veterans in South Florida. In advance of this week’s Stand Down, people are being asked to contribute items many Veterans are unable to buy immediately upon moving into their new homes: groceries, kitchen supplies, and other essentials such as sheets, blankets, pillows and basic furnishings. Individuals able to give supplies directly should call Operation Sacred Trust at (855) 778-3411 x816. Those able to contribute money to allow OST program staff to buy supplies for Veterans can make tax-deductible contributions at www.carrfour.org/donate. Let’s come together to create the future we know is possible — a future in which no Veteran is homeless in America.